The Macedonian Struggle was a series of social, political, cultural and military conflicts between Greek and Bulgarian subjects living in Ottoman Macedonia from 1904 to1908. The conflict was part of a wider rebel war in which revolutionary organizations of Greeks, Bulgarians and Serbs all fought over Macedonia. Gradually the Greek bands gained the upper hand, but the conflict was ended by the Young Turk Revolution in 1908. We begin our survey at the Macedonian Struggle Museum in Thessaloniki, to get an overview of the Struggle. 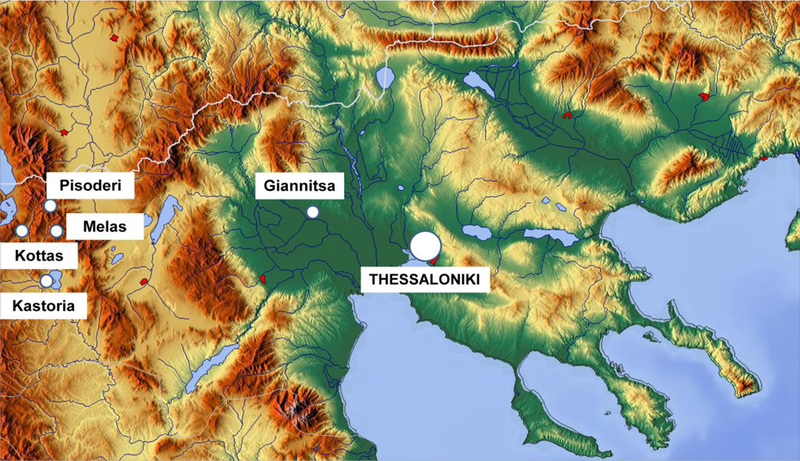 Then we travel to the area of operations around Giannitsa Lake, now drained, to explore the conflict in the marches. On the second day we survey the mountainous area of operations in the Korestia region. We travel to Kastoria, visiting the village Melas and Pavlos Melas Museum and then the vllage Kottas and Pisoderi.